Montreal indie pop outfit TOPS are seeking a friend of the end of the world in their video for "Driverless Passenger," which is the latest clip from their Arbutus Records album Picture You Staring. The crudely animated clip for this slow, dreamy cut depicts the band hanging out on the final day of earth. 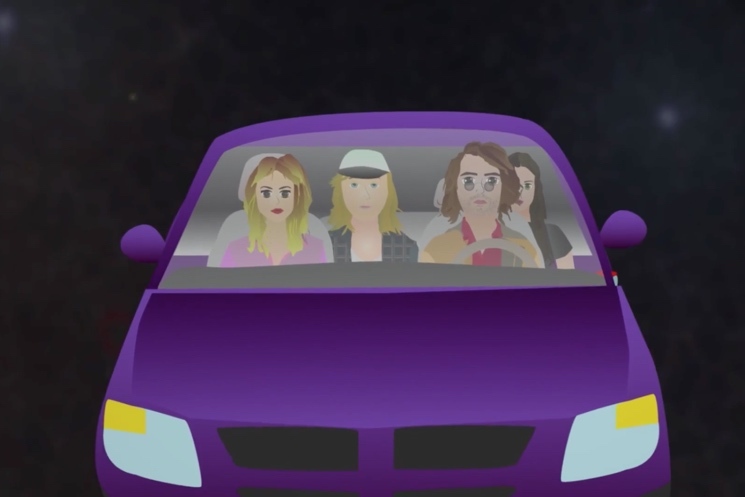 Rather than stick around for the apocalypse, however, they hop into a purple minivan and navigate the cosmos using what looks a bit like that online tool "The Scale of the Universe." What will the band find at the end of the known universe? Find out by watching the Jason Harvey-directed clip below.